The promotional campaign for PAMEX 2017 starts off with a big bang with an International Media Week, organized by All India Federation of Master Printers (AIFMP) in New Delhi from 3-6 August. The first of its kind event witnessed participation from Bangladesh, Bhutan, India, Indonesia, Malaysia, Nepal and Thailand. Delhi. 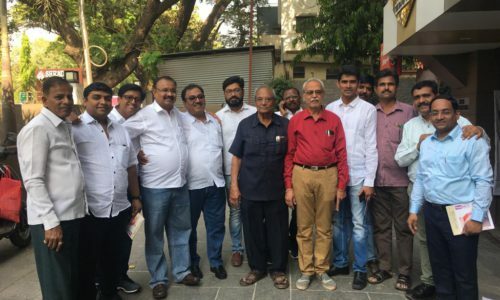 It was the first ever meeting of this kind held in the country. The purpose of the meeting was to discuss the issue of common interest and problems being faced by printing and allied industries. Representatives from Federation of Corrugated Box Manufacturers Association (FCBM), Association of Lable Printers &amp; Suppliers, Institute of Packaging Machinery Manufacturers of India (IPMMI), News Papers Association of India, Label Manufacturers Association of India and Jalandhar Printers Association attended the meeting. The meeting was chaired by Prof. Kamal Chopra, President, AIFMP. The topics discussed at the meet included the state of economy &amp; printing industry, identifying common issues that can be taken up jointly with authorities, developing mechanism for resolving inter trade issues, co-operation and support for industry events. This initiative of organizing such meeting was taken by Prof. Kamal Chopra and was well appreciated by all the attendees of the event. It was further decided to have a mutual co-operation and start a forum to discuss the issues of common interest. 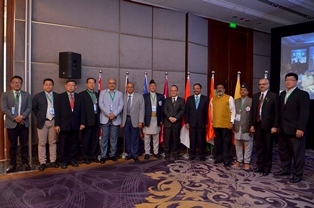 Association and media representatives from Bangladesh, Bhutan, Indonesia and Malaysia were also present at the meeting. Mr. Anand Limaye, HGS, AIFMP and Mr. Tushar Dhote, Chairman, Pamex were also present at the gathering. The meeting was followed by networking cocktail and dinner. 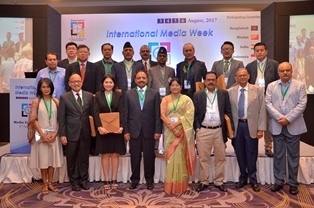 To strengthen the mutual co-operation for the development and betterment of printing industry amongst the neighboring countries, AIFMP organized International Media Conference on Aug 4. The association and media representatives from Bangladesh, Bhutan, India, Indonesia, Malaysia, Nepal, Thailand were present at the event. The idea and initiative of such gathering by AIFMP was well appreciated by everyone, especially the foreign participants. The representatives from International Associations shared the current printing industry scenario in their countries and underlined that such platform will definitely help share the expertise and advancements. Technova Imaging Systems and Chemline India Limited supported the conference as sponsors. Prof. Kamal Chopra, President, AIFMP welcomed all the representatives and expressed his gratitude for supporting this initiative. 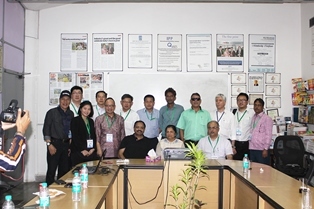 Ms. Hasina Newaz, Vice Chairman, Printing Industries Association of Bangladesh; Mr Mughira Nurhani, President, Indonesia Print Media Association; Mr. Kelvin LEE Kat Min, Asst. Sec. Gen, Malaysia Printers Association and Mr Madhav KC, President, Federation of Nepal Printers Association presented the printing industry scenario of their respective countries. Mr. Chrisnadi Purnomo, Managing Editor, Print Indonesia; Ms. Katatron Charoenprom, Asst Manager, The Thai Printers Magazine and Mr. 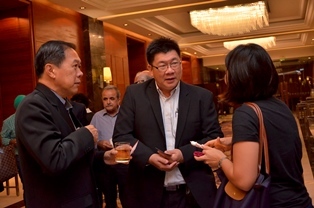 Karma Nima, General Manager, Kuensel Corporation Ltd. Thimpu, Bhutan were also present for the conference. One of the objectives to organize this gathering was to inform the global printing industry about PAMEX 2017. Mr. Tushar Dhote, Chairman, PAMEX 2017 in his presentation highlighted the encouraging response from industry that the event has received so far and also shared the plans of promotional roadshows scheduled in India and other countries. The International association representatives showed keen interest to host roadshows and bring delegates from their countries at PAMEX 2017. 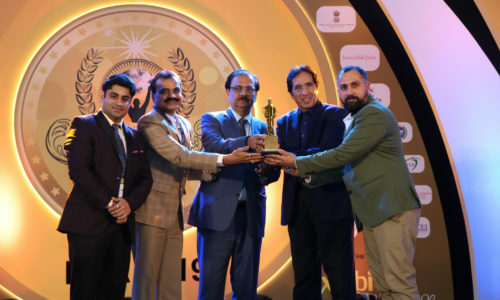 Prof Dr Rajendra Anayath, Vice-Chancellor, Deenbandhu Chhotu Ram- University of Science and Technology Murthal; Mr Deepak Chawla, Head-Marketing & Corporate Communications, Technova Imaging Systems; Dr. R.N Goel, Founder, Chemline India; Mr. C N Ashok, Managing Director, Autoprint Machinery and Mr. Abhishek Paul, Director of Marketing, APL Machinery Pvt. Ltd also enlightened the gathering with their technical inputs and expertise in their presentations. The meeting was followed by networking cocktail and dinner. Day 3 of the International Media Week started with a visit to one of the leading industry events PackPlus and CartonTech, organized by Print-Packaging.com (P) Ltd. The delegates were welcomed and briefed about the event by Mr. Anil Arora, President, Print-Packaging.com (P) Ltd. All the delegates were taken through an extensive tour of the entire exhibition. A factory visit to International Print-o-Pack Ltd. (IPP Group) was also organized for the foreign delegates. IPP is one of the renowned and leading houses for commercial &amp; publication printing, packaging and stationary. Ms. Amila Sighvi, Managing Director, IPP Group was kind enough to welcome the delegates and shared about the company’s expertise, journey so far and plans ahead with them. The delegates also had an opportunity to witness the on-going printing jobs in the factory. A special cocktail &amp; dinner was arranged at Indian restaurant for the delegates by AIFMP. 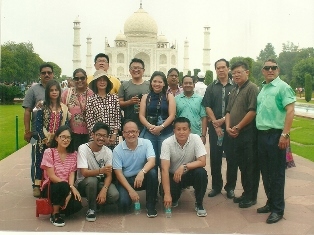 AIFMP gave a send-off to all foreign delegates of International Media Week in a unique way by arranging a visit to TAJ MAHAL. All the delegates were excited to visit one of the Seven Wonders of the World. A tourist guide explained a brief history of Taj Mahal to everyone. The four day International Media Week 2017 thus came to an end with a great success. The international delegates and the media representatives expressed their sincere thanks to AIFMP for such initiative and showed keen interested in visiting PAMEX 2017, which is being held from 9-12 December at Bombay Exhibition Centre, Mumbai. We are thankful to AIFMP especially Prof. Kamal Chopra for inviting us to this International Media Week. I met association presidents from various countries here and we could share and discuss the printing business opportunities in their countries. This International Media Week is the first event and I hope in coming years it will grow bigger and bigger. PAMEX will also become a truly international event. On behalf of an Indonesian delegation, I would like to thank AIFMP for organizing such a great event and inviting us here. This International Media Week has given us an insight to PAMEX 2017 which is happening in Mumbai in this December. In my opinion this International Media Week and PAMEX would be one of the great events in the world for printing industry. I would like to thank AIFMP for this very first International Media Week where we could meet printers and their associations from various countries. 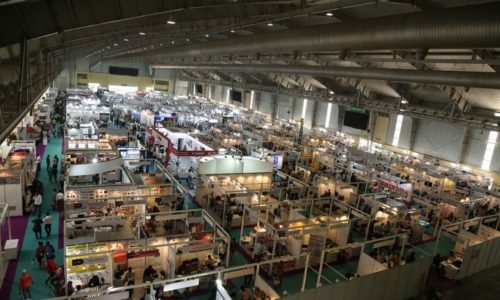 For us this is really a great platform to interact with associations and printing fraternity from neighboring countries and discuss on the current industry scenario, the changing technology and innovations, gain the knowledge from the experts. This is a must attend platform for all the printers. We would like to thank AIFMP for organizing such a great event. We do not have any association in Bhutan. This event and efforts of AIFMP to bring all the printing industry together is really an eye- opener for us. We would certainly like to attend PAMEX 2017. We request other printing firms in Bhutan to take part in PAMEX. This is really a great initiative by AIFMP. This is the first time I am attending such kind of gathering. It looks very promising and there are many of advantages to attend it. It is a great initiative by AIFMP. I would like to congratulate AIFMP especially Prof. Kamal Chopra for organizing such a grad event here. This International Media Week represents almost all the neighboring countries. I can see the ‘quality’ participation here. Such forums are need of the hour and I think AIFMP should continue with this. Previous post PackPlus Creates New Landmarks, Yet Again!